The canteen is the heart and soul of the school environment. It’s a thriving cultural hub where students eat, socialise and learn. Being an instrumental part of children’s and even teachers’ educational experience, school canteens must provide a safe and inspiring space where interaction is fostered and therefore relationships formed. 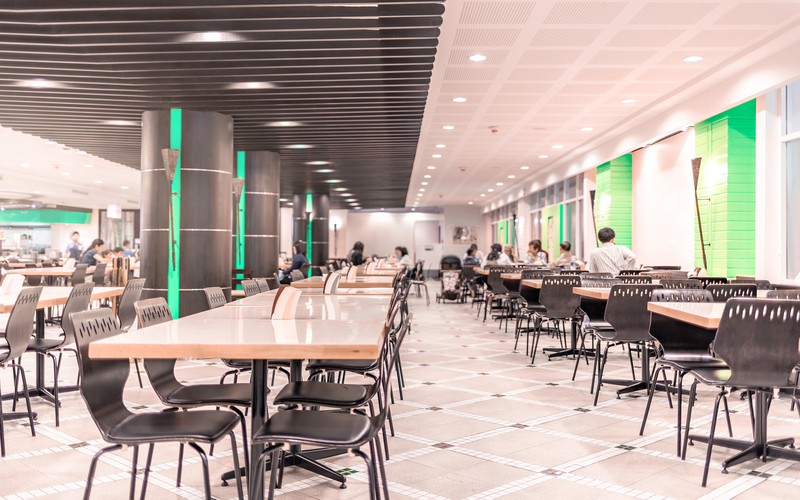 The canteen’s initial function is to provide a space where students and teachers can eat and relax in between classes. So, first and foremost, the canteen should provide a variety of seating. 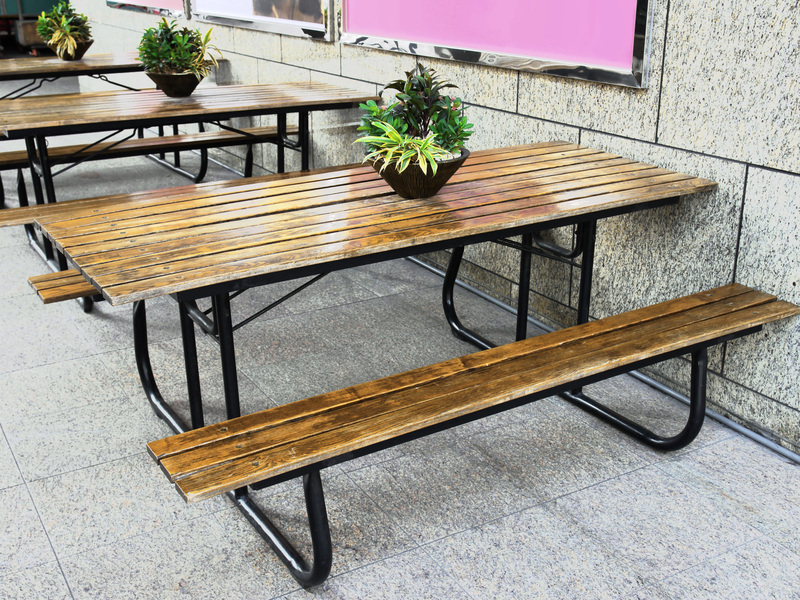 This can be in the form of benches, chairs and stools, but preferably, seating should be ergonomic to ensure the user’s safety is maximised. Interaction is key here. 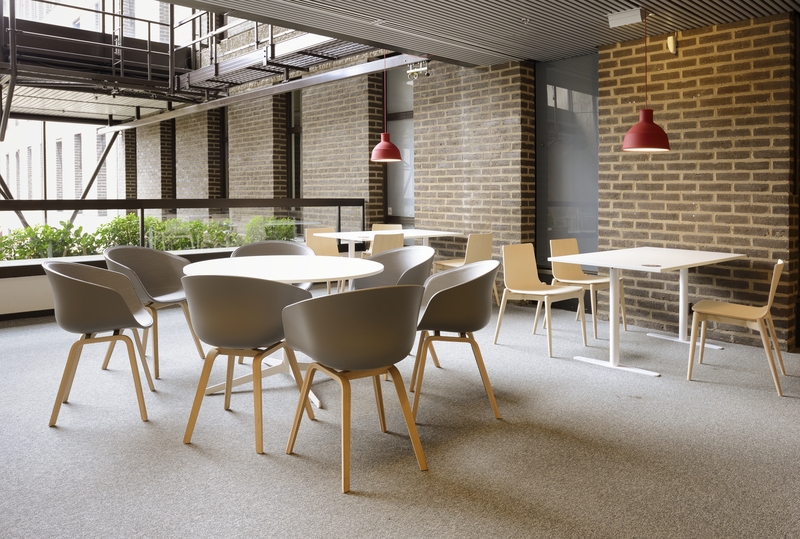 Furniture that champions socialising amongst those using it is crucial, as failing to do so can lead to isolation and a fractured space where collaboration is mute. Tables are paramount in fostering connectivity between students. They should unify those sitting at them. Creating a chain with long rows of rectangular tables where bountiful students can engage in one another’s conversations is an effective way of achieving this, but to truly utilise interaction amongst groups, circular tables of a smaller nature can ensure everyone’s voice is heard in a closer proximity. Facing one another around a circular table can also boost collaboration and companionship. 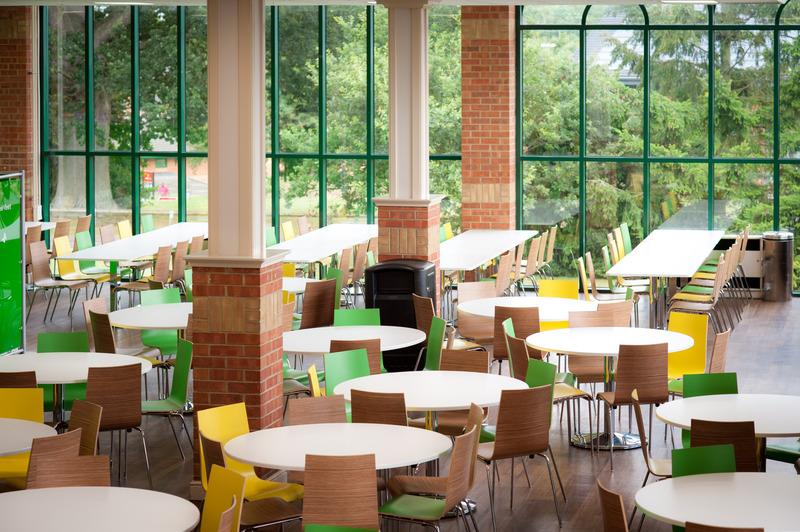 When we tend to think of canteens, we imagine large indoor spaces, but this is becoming more of an outdated and redundant concept – and for good reason too. Providing an outdoor area will nurture students’ mental wellbeing. The biophilic elements of nature can enhance their cognitive skills and give a natural boost to their energy levels. Fresh air and vitamin D from the sun accompanied with a healthy lunch can go a long way in ensuring their motivation and concentration doesn’t waver until the end of the school day. The design should take into account the environmental impact it creates as, after all, the future generation will be using its facilities. This is a great opportunity to highlight the importance of sustainability to a younger audience. A minimalistic or even industrial design which incorporates second-hand furniture such as wooden and steel chairs and tables will demonstrate the school’s endeavor to create an environmentally friendly space. Also, if food and drink isn’t served in biodegradable packaging, ensure recycling bins are clearly labelled and deposited throughout the canteen. 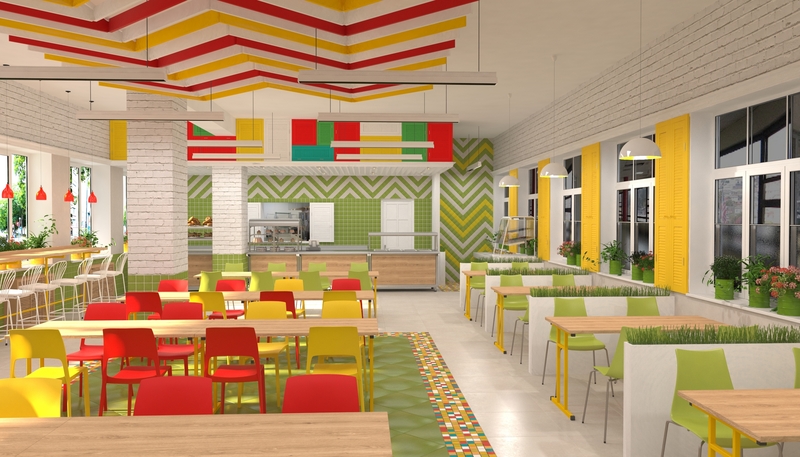 Overall, a school canteen should champion those using it by creating a culture where socialising, relaxing and learning is fostered in a safe and inspiring space.